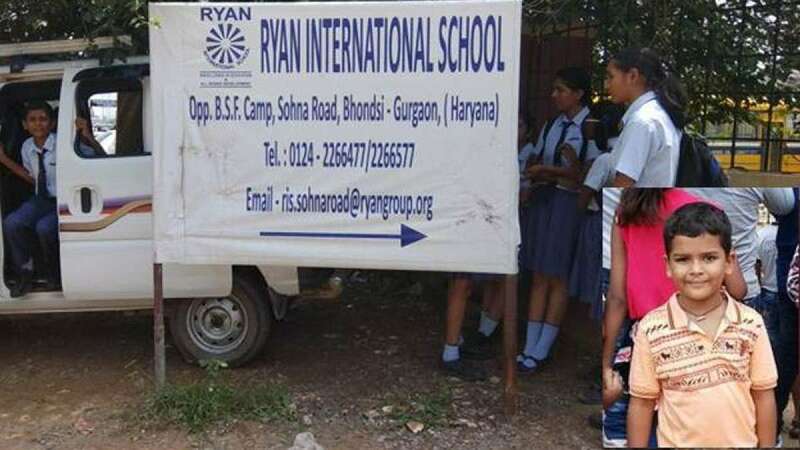 Gurugram : A seven-year-old boy was found murdered on Friday in the washroom of the Ryan International School in Bhondsi area near here, police said. Pradhuman, a Class II student, was found dead by a school staff in the washroom with his throat slit. A knife, presumably the murder weapon, was found near the body. The boy's family resides in Maruti Kunj Society in the same area. Pradhuman's father is employed in a factory located in the Kherki Daula police station area. "The boy reached the school hardly an hour before he was found dead. We are questioning the school staff while teachers are speaking to other students to find any clues," a senior police officer told IANS. He said that though the exact cause of the murder was not clear yet, police were investigating the sexual assault angle. A case of murder against an unidentified person was registered at the Bhondsi police station.